It turns out that most people think our campaign system is broken, and suspect our system of representative government is no better than seriously flawed. The reformers have been hammering away for so long that most people also know what is wrong and why. They are ready to move on to solutions, and they wonder why none are forthcoming. It is not for lack of proposals and ideas. The main thrust of reform initiatives has historically been a search for constitutional ways to impose spending limits and regulations on participation. The Supreme Court, in its questionable wisdom, has pretty much closed down all the good ideas in those areas. There are still some things that can and could be done, however. I am not sure they are reforms or nostalgia masquerading as reforms, but I do know that they resonate with a pretty thoroughly disgusted electorate. Term limits come immediately to mind. They would be an attack on the careerism that has crept into legislatures and is well established in local governments. Redistricting seems to be too esoteric to get the kind of support that term limits draws. The case that dispassionate, disinterested redistricting has greatly increased the number of competitive races where it has been put in place has been made but not heard. 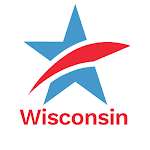 How many Wisconsin voters know that incumbents in only 10 percent of the state’s legislative districts are worth challenging, that legislators are picking them instead of vice versa? Not many, if the low level of enthusiasm for this simple, cost-free idea is any measure. The idea of part-time legislators and county boards and city councils is another attack on careerism and invincible incumbencies that is not as draconian as term limits, but has considerable support. There are some interesting if tricky ways to redirect the flow of campaign contributions which would decrease the power of the aforementioned invincible incumbents and their legislative leaders, but let’s stick to the big three for the moment. All would be popular. None are likely to be enacted. The incumbents who would have to vote for them regard all three as an attack on a system that got them where they are and is most likely to keep them there. There are two ways to overcome this resistance to reform. The most radical is something called initiative and referendum. If we had this process in Wisconsin, the unhappy voters would have a way to vote for the three proposals without going through the recalcitrant legislators. The trouble with this is that Wisconsin would have to adopt a system that is currently destroying the governability of California for sure and other states that have turned legislation into popularity contests which make hired guns and TV stations rich and a make mess of representative government. Another route to enactment would be a grassroots uprising that goes beyond parades and protests and has enough followers to get legislators elected who will vote for these ideas. This is more effective. Also harder. A few interests have enough clout to pretty much get their way on narrower issues (gun control comes immediately to mind). So it can be done. Will it? I don’t hear the drumbeat yet. Neither do any candidates for high and low office in Wisconsin. The roads ahead for campaign reformTweet this! A Congress of career politicians will never represent “We the People”, because their highest priority is getting reelected with the help of Big Money. But “We the People” have more votes than “Big Money” has, and thus can end Congress as a career for professional politicians by never reelecting incumbents. We can impose single terms every two years, by never reelecting Congress. Always vote, but only for challengers. Never reelect incumbents. Keep this up until Congress is mostly “one-termers”, a citizen Congress. Then keep it up every election, to make a citizen Congress a permanent reality. Every American’s only intelligent choice is to never reelect anyone in Congress!